The poultry laying cages in chicken cages manufacturers have the large scale quantity for sale. With the best quality and low cost investment, our poultry laying cages are the hot-selling products for poultry farmers. 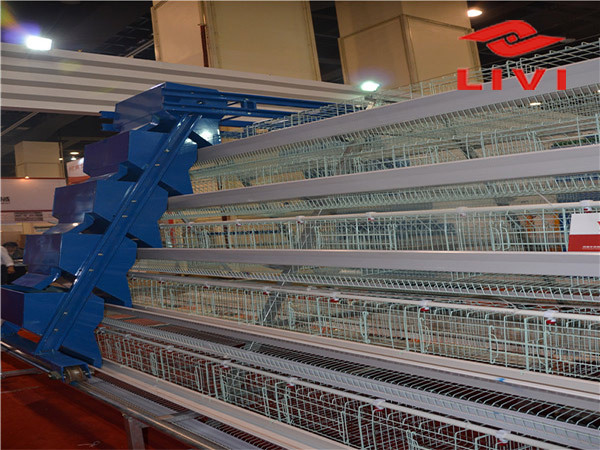 Livi Machinery is our chicken cages manufacturers selling the automatic poultry farming equipment, especially for poultry battery cage system. In the modern time, the poultry laying cages constantly updated and developed, as a result, most chicken cages manufacturers are in the state of fierce compition. With the increasingly expensive cost of labor and management , we advice the poultry farmers can develop towards moderate scale, standardization and automation poultry breeding. Our poultry laying cages contain the all features in your poultry breeding process. In the future, the automatic poultry farming equipment must become the choice of poultry chicken cage manufacturers. Our company has experienced long-term development and has already had the features of modern poultry farming. Our poultry laying cages adopt the technology of electrostatic spraying process. This cage process method has been highly recognized by the chicken cage manufactures and our customers. 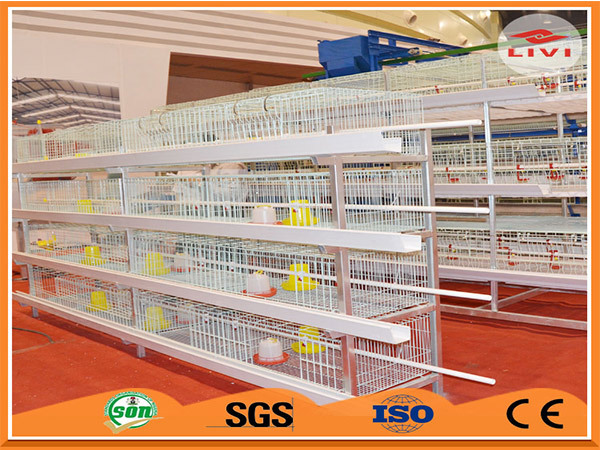 The poultry battery cage system include layer cages, broiler cages, layer baby chick cages and broiler baby chick cages. Our chicken cage system has got the best reputation and our client’s praise. At the same time, customers who had bought our poultry laying cages commented that poultry farming equipment can prevent infectiuos disease effectively and the baby chick cages can improve the survival rate of chickens, thus their economic benefit can also improve greatly. If you want to choose our poultry laying cages as your poultry farming equipment, please give us your basic information about the quantity of the flocks you will raise and your chicken shed area as well as the acceptable price, we will offer you the affordable price for poultry laying cages. You can also think about the poultry equipment supplies to realize your automation poultry breeding.